A constraint-free aeronautic space less than 75 Nm from the Atlantic coast, separately from large, controlled and military airspace. Less than an hour's flight from Loire castles, Medoc, Millevaches plateau and Perigord. 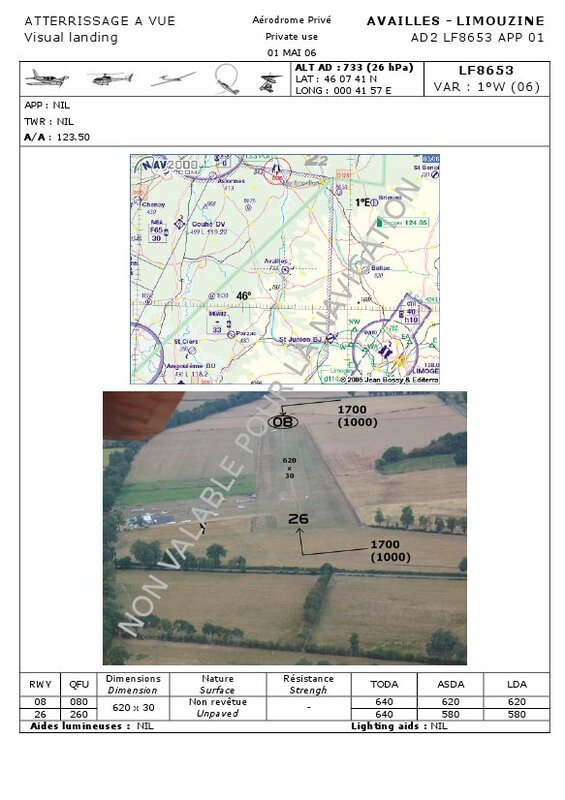 This project provides a grass runway 1050 m / 3500 feet (640 m / 2100 feet today ), a parallel tarmac runway (1050 m / 3500 feet also ) with night lighting , ideally oriented (08/26). Tarmac taxiways will serve each plot. A fuel filling station (Avgas) with automate will complement the aeronautic infrastructures. 230 miles from Paris (motorways A10 or A20). 1 hour 30 minutes train journey from Paris to Poitiers. 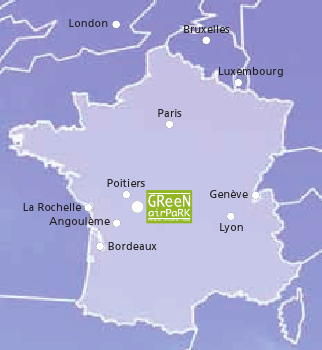 Regular air travel between Poitiers, Lyon and London.